We will explore fuel cells, which are electrochemical devices which convert chemical energy to electricity. Unlike the internal combustion power generators, which convert chemical energy to electrical energy through an intermediate step-mechanical energy, fuel cells directly convert chemical energy to electricity. Therefore, the efficiency is much higher than the combustion power generator. 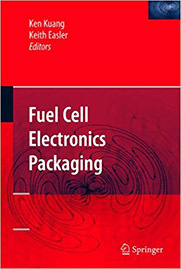 Solid oxide fuel cells (SOFCs) differ from other types of fuel cells in that the components of the cell materials are solid instead of liquid; especially the electrolyte is solid oxide, usually ceramics due to the high working temperature.